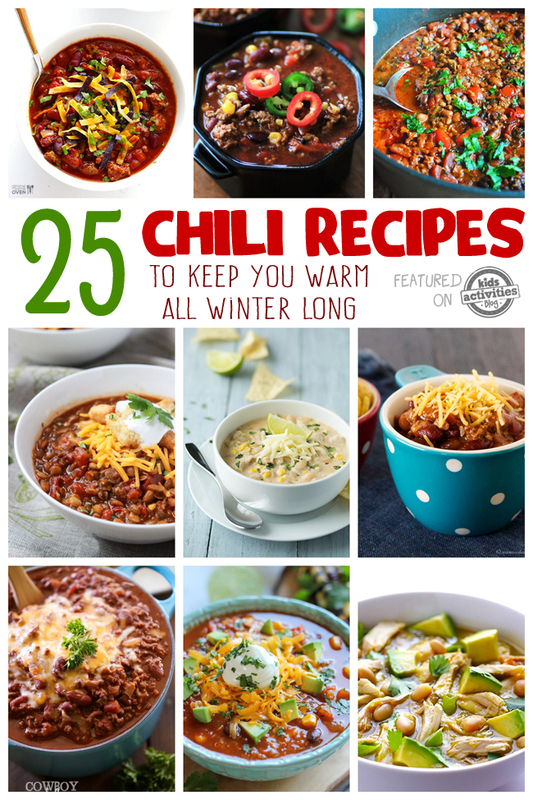 I am a huge fan of any kind of chili recipe. 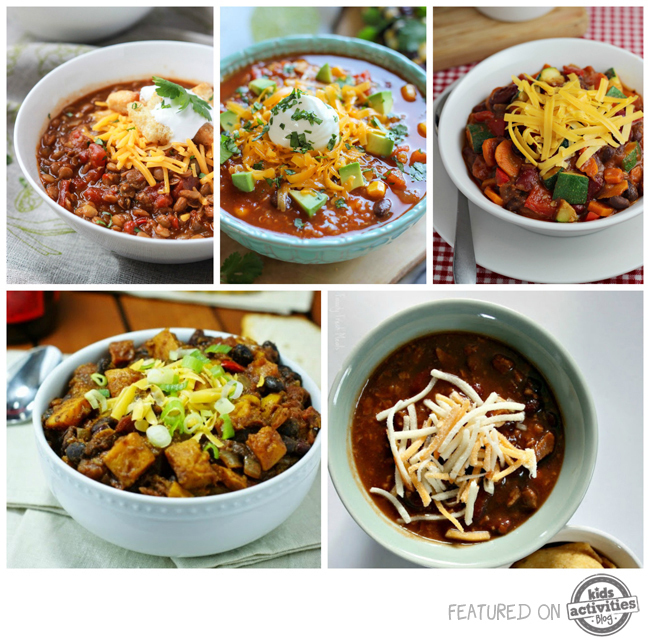 Chicken chili, beef chili, vegetarian chili, or heck, even this chili made with buffalo meat! You name I ™ll try it! 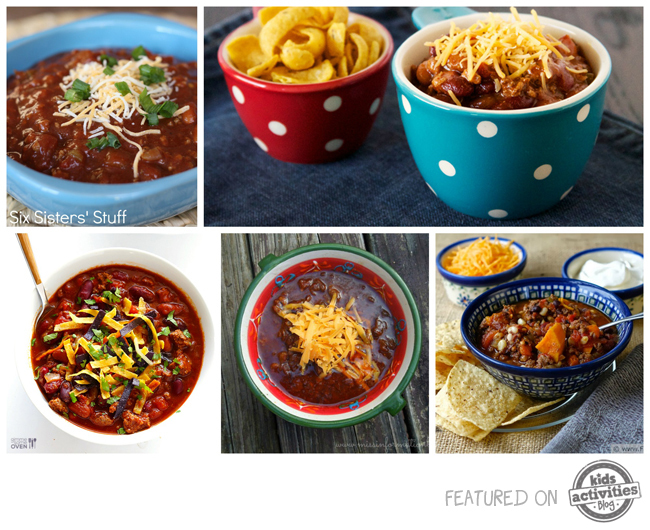 Now that the weather is getting colder, chili season is definitely upon us. I ™ve been scouring the net for all sorts of different recipes to try and I can't wait to get started! I always make a homemade chili seasoning and keep several packets of it handy in my pantry. It's a great blend that's perfect as a base for just about any mix-ins you like to add. It has just the right amount of heat where even the kids can handle it. But moms, if you have little ones, you might want to cut it back just a tad. While there are plenty of different ways to make chili, ground beef versions have been around for a long time. Here are five recipes using hamburger meat that would be great to try. If you prefer to keep meat out of your diet, vegetarian chili packs a big protein punch because it’s loaded with beans, sometimes lentils and other great ingredients. Here are a few you might like. If you love meat but are trying to cut back on the red stuff, there are other options such as poultry and sausage. Try one of these delicious numbers on for size. Ready to break out your slow cooker? 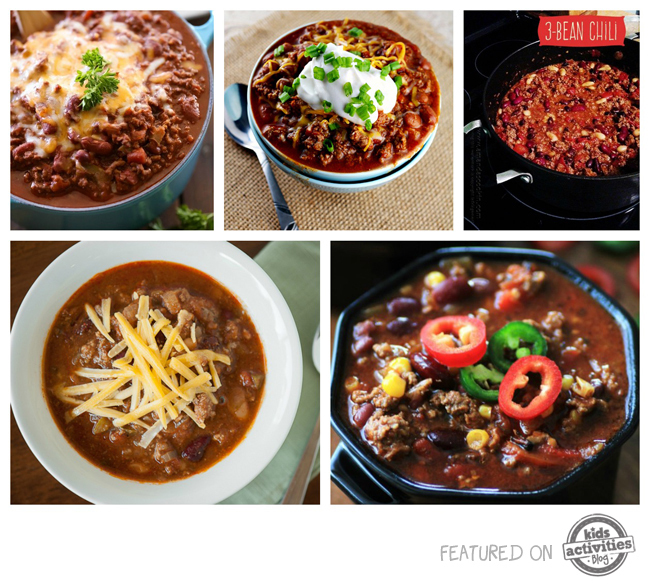 Chili is one of the easiest recipes for the crock pot. Here's a few to get you started. Once you find your favorite chili recipe, try making chili cheese dogs or chili cheese dip. 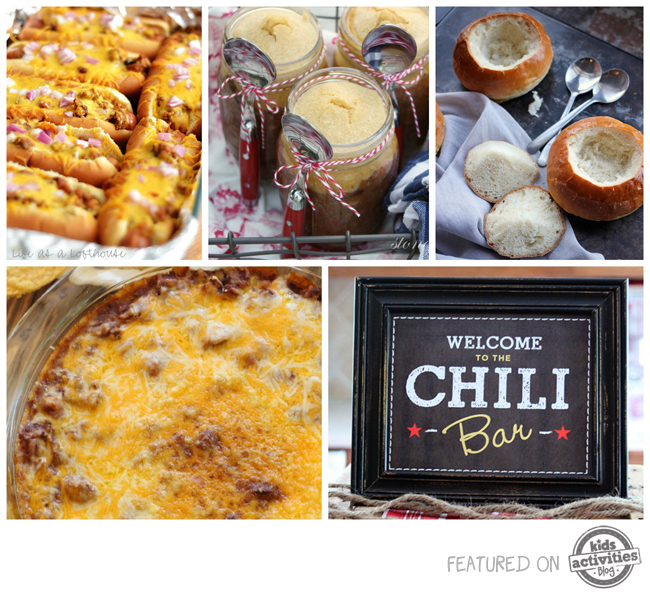 Bake some homemade bread bowls to fill with chili or host a full blown chili bar! Hope you found something delicious! 25 recipes weren't enough? 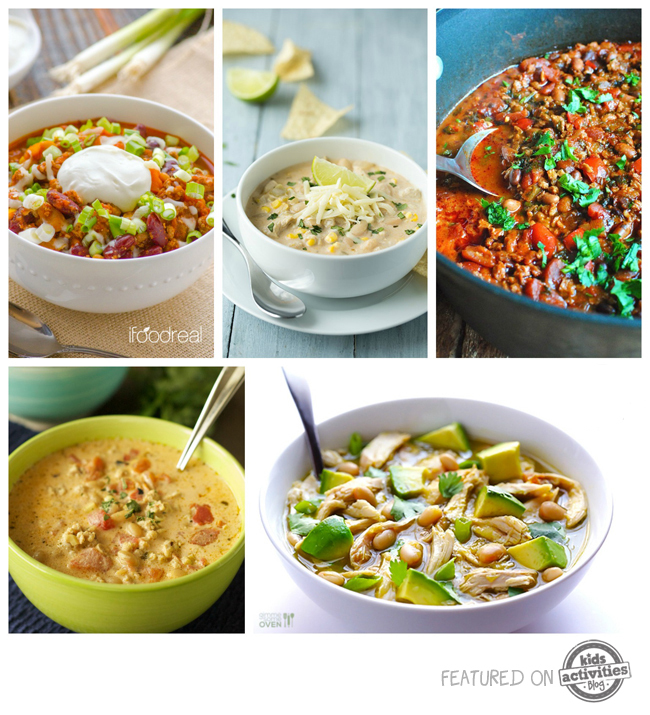 There are over 100 recipes and ideas on this Chili Pinterest board if you're looking for more!